A luxury master bedroom has to make you feel comfortable and relaxed. The first step we suggest you take when creating a luxury master bedroom is to declutter, clean, and organize the area. Get rid of items and furnishings that are not needed: old clothing and shoes, stacks of papers you have meant to file, older books, and more. Your goal is to make the essence of the room calm, not disorganized. When you enter your master bedroom, the wall color is the first thing many people notice. 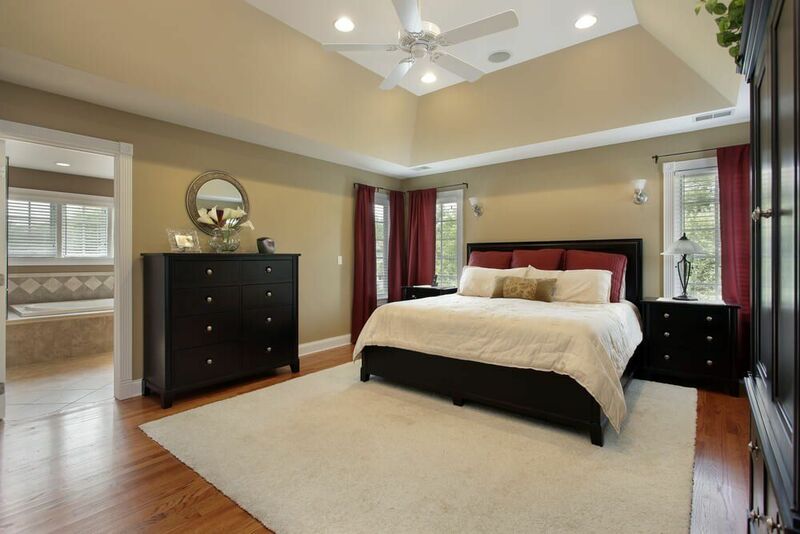 An easy way to upgrade your bedroom to a luxury master bedroom is to give the room a fresh coat of paint. Pick calming, soothing colors including pale blues, light greens, and neutral creamy beige or linen shades. Regardless of the size, your bed is the biggest piece of furniture in the master bedroom and should give off a sense of sophistication and luxury. Invest in a new, elegant textured comforter and top it with beautiful, matching, plush, throw pillows. To make it even more luxurious, purchase a down-filled mattress topper and new extravagant bed linens. A final touch to your bed can be a stylish, padded headboard. Want Additional Ideas for Your Luxury Master Bedroom Remodel? Retreating to a luxurious master bedroom to relax and recharge is something we all want. The key is to remember that it will be your retreat from daily stress. Working with Republic West Remodeling to create your luxury master bedroom can help you enjoy a gorgeous, peaceful retreat to relax at the end of your busy day.